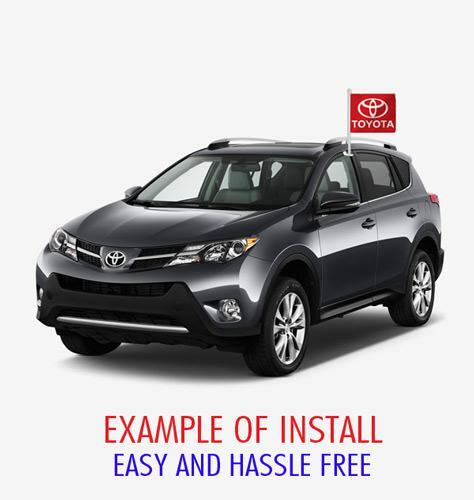 $4.99 $2.99 40% off *Discounted price shown in red box. 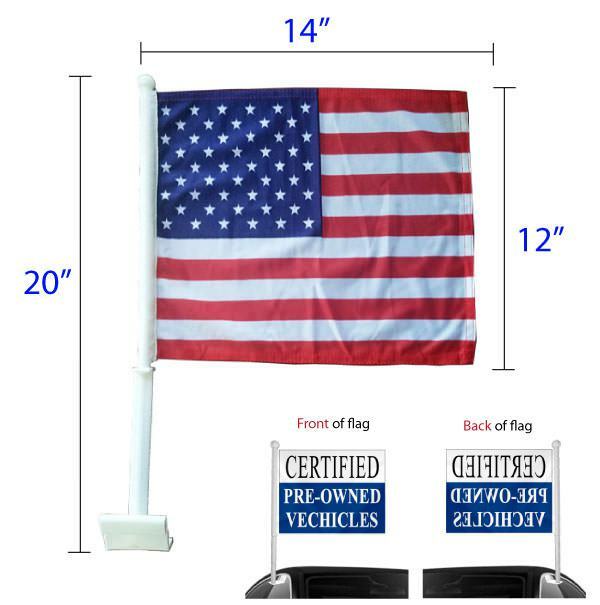 These American USA Window Clip-on Flag are our number one seller. 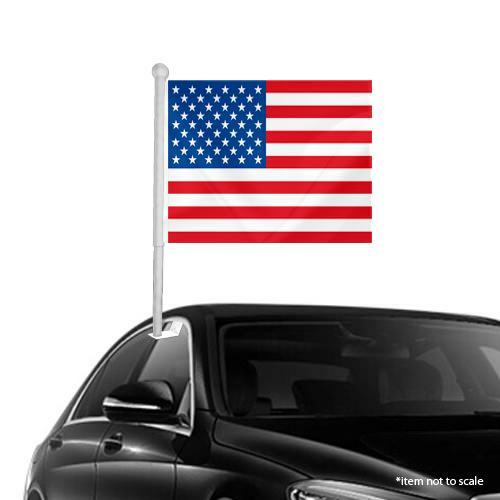 It is a favorite of all dealerships for patriotic holidays, such as independence day, labor day, presidents days, and veterans day. These window flags are typically used on all of the cars on a dealerships car-lot. On your next Holiday, use these low-cost USA banner clip-on flags to create clean visual noise at your auto dealership. 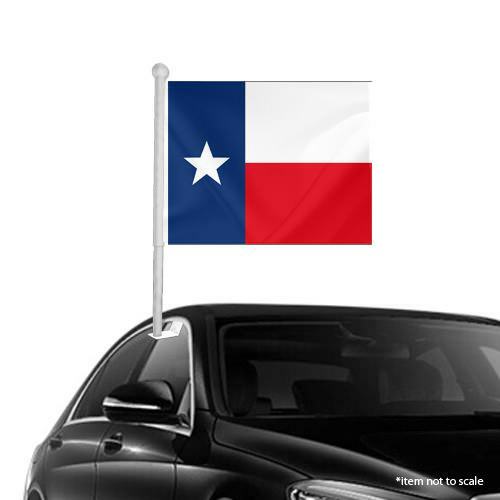 Stop wasting money on other expensive outdoor items that make your car lot look like a big hot mess. 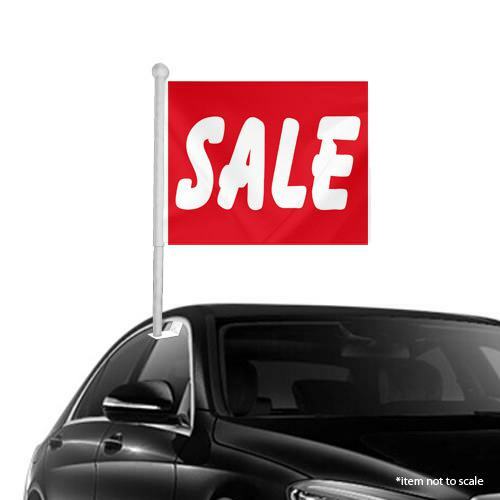 Feather flags and window clip-on flags are low-cost and highly effective.